CHARLOTTE, N.C. -- Duke Energy has restored more than a million (924,000 in North Carolina and 180,000 in South Carolina) of the 1.36 million customers who lost power due to Hurricane Matthew. The company has quadrupled its resources since storm preparations began (2,300 last week to nearly 9,000 this week). More than 1,500 additional resources are en route today. Utility companies sending resources include Duke Energy Midwest and Florida, First Energy, CenterPoint Energy and Delaware Electric Coop. States providing additional personnel include Delaware, New York, Nebraska, Maine, Indiana, Florida, Oklahoma, Iowa, Massachusetts and Pennsylvania. Canada has also sent personnel. There were still 235,000 customers (158,000 in North Carolina and 77,000 in South Carolina) without power this morning. The hardest hit counties include: Robeson, Bladen, Columbus, Pender, Duplin, Wayne, Johnston, Sampson, Harnett, Cumberland, Lenoir, Pitt, Greene, Craven and Beaufort. In some of these areas, flood waters remain or continue to rise. It could be days before crews are able to access these areas to make repairs. Additionally, customers whose homes or meter boxes have sustained substantial damage will need to make repairs before we are able to restore service. 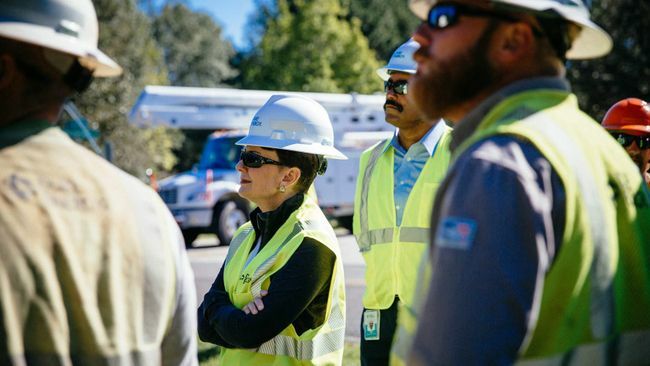 "At Duke Energy, our sole focus is to safely restore power for our customers as quickly as we can," said Lynn Good, Duke Energy chairman, president and CEO, who surveyed Hurricane Mathew's devastation first-hand in southern Wake County Monday. "This is a very challenging time for all of us, and we appreciate the patience and understanding our customers have shown," she added. "This was an historic storm requiring a massive restoration effort." Good also spent time at the company's Customer Care and Storm Response centers in Raleigh, speaking with employees and listening to their interaction with customers. "People want us to know what they're going through, and we do," Good said. "That's why we've dedicated all available personnel to deal with this catastrophe, and contacted other agencies throughout much of the country and Canada to assist." 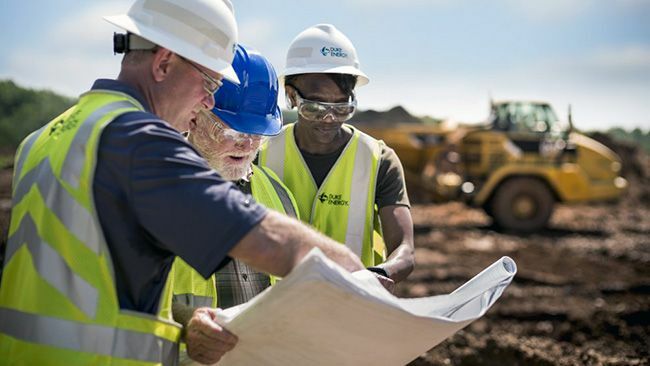 Duke Energy focuses on restoring power in a sequence that enables power restoration to public health and safety facilities and to the greatest number of customers as safely and quickly as possible, starting first with the larger transmission lines. Hurricane Matthew is the fifth worst storm to hit the combined Duke Energy / Duke Energy Progress service area. Some liken the storm's effects to Hurricane Floyd in 1999 and Hugo in 1989. "We may continue to lose equipment due to rising flood waters, which could cause additional outages," said Bobby Simpson, who is overseeing Duke Energy's restoration efforts. "The good weather certainly helps our restoration effort, but rising flood waters continue to place additional challenges on us is some areas." Duke Energy has posted estimated times of restoration on its website. Customers should understand those restoration times reflect the latest time a customer's power could be restored. However, as crews assess specific areas, these times may be improved. Once crews restore power to a trouble spot, our systems indicate all power provided by that device is on. We are using calls and text messages to gather information to determine remaining outages down the line. If you receive a call or text, it means we are actively working in your area. Please respond if you are still without power. This will assist us in restoring your power as quickly as possible. Ash and cooling pond dams at our Carolinas' facilities continue to operate safely. Flooding continues to subside near the retired Weatherspoon Plant in Lumberton, N.C. The Neuse River near the H.F. Lee Plant in Goldsboro, N.C., continues to rise and is flowing into the plant's cooling pond. The Weatherspoon Plant ash basin and active ash basin at H.F. Lee Plant are not affected. The company is monitoring conditions, and state regulators continue to support operations at both plants.